Converting a business idea into reality seems like a difficult task as it involves a substantial amount of financial backup. However, a number of institutions are now helping middle-class people with average income to initiate their businesses with the help of business loans, which is the amount of money/debt, borrowed from a bank or a financial institution, paid back with added interest. An upfront capital investment is a pre-requisite to start a particular business. This can be secured either in the form of a business loan, asset finance or equity finance. A business loan can be an ideal option if there is a shortage of finances or a suitable investor for starting a new business venture. Business loans can be required for various reasons such as for paying associated bills, purchasing new equipment, expansion, or for gaining a working capital for stable business growth. There are various types of business loans available from which entrepreneurs can opt according to their suitability. Bank term loans are one of the most suitable types of business loans, which are obtainable by the business owners with a stable financial asset. In this type of loan, a fixed amount of money is borrowable from a bank, which is then payable back by the owner with interest. Although bank term loan is among the most reliable and convenient option available, however, it is not easy to qualify for a small business loan from banks since a small number of capital loans are not profitable for the banks. In addition, the procedure for acquiring bank loans is time-consuming and it’s possible to gain the desired capital in a short period. The line of credit loans are also obtainable from lenders other than banks. In such loans, financial institution lends money to the business owner, which is easier to draw at the time of need. Interest is also pain only upon the amount that is drawn. These loans are very appropriate for a small business to deal with emerging crises or urgent situations. However, these loans are not suitable for large purchases. Just as the name says, equipment loans are lent for small businesses to fulfill their small equipment-related requirements such as copy machines, tools, machinery, vehicles, computers etc. Business owners, instead of paying the whole amount at once, make equipment payment on monthly basis. Successful, the customer pays the amount to the lender who after deducting their fee, pay the remaining balances to the business owner. Personal loans are set upon an individual’s personal finances and credit due to which they are for the lesser amount of capital. A personal loan can also be suitable for new business setup, however, being less in amount; it needs combining with other funding sources. Personal loans have an interest rate of approximately 6-36% and it has a repayment term of about five years. Professional practice loans are great particularly for professional service providers like business setups in the field of healthcare, engineering, accounting architecture, veterinary etc. These loans are often useful for purchasing a new equipment, renewing office space; or refinancing some old debt. Although commercial banks are still the most common lender for small business ventures, it is quite a difficult task to get a loan from traditional banks since banks consider it a risky and less profitable investment. According to the facts, only 20% of the small businesses qualify for bank loans these days. This is where known online lenders such as Orumfy and others act as suitable lending options. There are certain aspects, which differentiate between bank loans and online loan lenders. As discussed previously, traditional bank loans require a great deal of time in processing. On the other hand, online lenders work quite faster in comparison. Since they do not require working with lengthy government regulations, they require less time in processing and transferring the loan to the subject. In addition, the technology aspect of small business loans also carries out the process more quickly. Traditional banks usually offer basic forms of loans like term loans, lines of credit, and credit cards and some others. Contrary to this, online business loans show greater flexibility in the types of loans they offer. Online lenders offer different online business loans, which serve varying purposes. Traditional bank loan has an upper hand upon online lenders due to the greater fee associated with online business loans. In order to reduce the level of their loss if a small business goes defaulted, online small business lenders save themselves by increasing the interest rates and fees. For small business owners, the best option is to identify the exact constraints and limitations of your business venture before getting started. 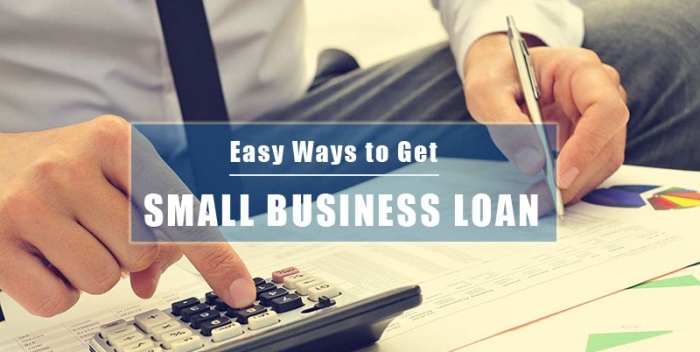 This would help in selecting the most appropriate type of loan suitable for your business.